Ronald McDonald of the Tri-State is not just a place for sick children and their families during times of critical illness and hospitalization. The house also provides a comforting place to stay when families are traveling long distances for follow-up appointments with doctors and specialists. The McMullens are one of these families. Meet Shannon and her son Jacob. Since February 2015, Jacob and his mother have been staying at Ronald McDonald House Charities of Huntington, Inc.. Like many eight-year-olds, Jacob loves watching the Minion movie. He loves playing on a swing set and watching fireworks on the Fourth of July. But unlike other kids his age, Jacob has spent most of his eight years in and out of hospitals. Jacob was born with hydrocephalus, a condition that causes a buildup of spinal fluid on his brain. When Shannon adopted him at the age of two, Jacob had already been through 18 brain surgeries. For years he visited specialists closer to their home in Fayettville, Ohio. It was when their long-time neurosurgeon changed hospitals that they were left looking for a new doctor. In early 2015 Shannon began to notice Jacob having pain in his hip. “He can’t cry, he can’t speak,” his mom said, “but I knew something was wrong with his leg.” Shannon took her son to many different hospitals and clinics, but was told that nothing was wrong. A few weeks later, the McMullens found themselves in Huntington at an orthopedic clinic. Jacob was being fitted for leg braces, but Shannon asked if the doctor could also x-ray his hip. To Shannon’s surprise, the doctor came back in with the news that Jacob had a broken hip. Jacob first visited Cabell Huntington Hospital to have surgery on his broken hip, where his mom said “I was so impressed with the hospital and how they took care of him and how they treated me.” She went on to explian, “I was looking for a whole group of doctors that needed to be in one location, and [Cabell] had all of it.” Because of their positive experience, Shannon switched all of Jacob’s treatments to Huntington. Because they were familiar with the charity, Shannon said, “when we came [to Huntington] the very first thing I asked was ‘Do you have a Ronald McDonald House?’” Since asking that question, Shannon and Jacob could not have imagined the impact that Ronald McDonald House Charities of Huntington, Inc. would have on their lives. Because of Jacob’s many doctor’s appointments, follow ups, and physical therapy sessions, the McMullens have been staying at Ronald McDonald House on and off for over a year. If not for the House, Shannon and Jacob would have to make the trip from Fayette County, Ohio to Huntington very often. When traveling with a child who has special needs, a two hour car ride turns into a four hour trip. 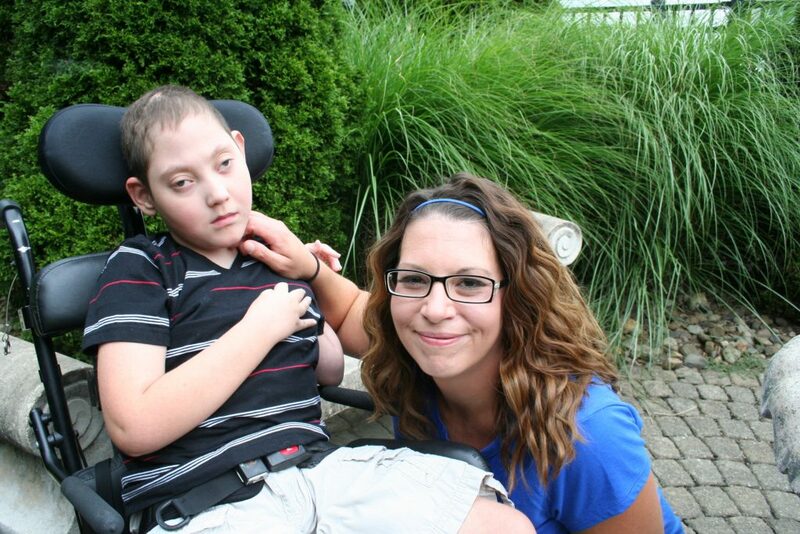 In order to leave their home, Shannon has to place Jacob in his wheelchair, wheel him to their minivan, lift him from the wheelchair and place him in his car seat, take his wheelchair apart, and put it in the car. When they are finally packed up and ready to leave, their journey to Huntington is a difficult one. When they reach the interstate, Jacob’s mom says, “I am stuck between a truck on [each] side, everyone’s going 90 miles per hour. I’m alone with a child in the back seat having a seizure every 20 minutes…It’s just so hard on both of us.” Because of Ronald McDonald House, Shannon and Jacob are able to have a comfortable place to relax between appointments instead of having to make this stressful journey multiple times per week. Like the long car rides to and from Huntington, life for Shannon and Jacob is often unpredictable. What starts out as a check-up can quickly end up with Jacob being admitted to the Pediatric Intensive Care Unit. In December 2015 Jacob had routine check-ups scheduled. He and his mother traveled to Huntington a day early to attend the annual holiday tree lighting ceremony at Ronald McDonald House. That night Shannon noticed that was having a hard time breathing. What should have been a routine visit ended with them staying the entire month of December, including Christmas.